Looking to complete Week 4’s challenges as fast as possible? You can check out this cheat sheet to speed you on your way. 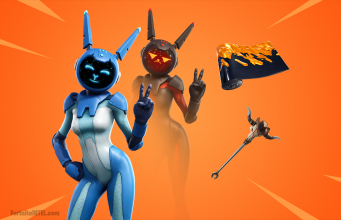 Fortnite releases new Battle Pass challenges every single week on Thursday. New items to collect, new weapon kill quotas, and new locations to visit. Let’s get into where you’ll be heading in Week 4 of Fortnite Season 8. Each week include both ‘free’ and ‘premium’ challenges. 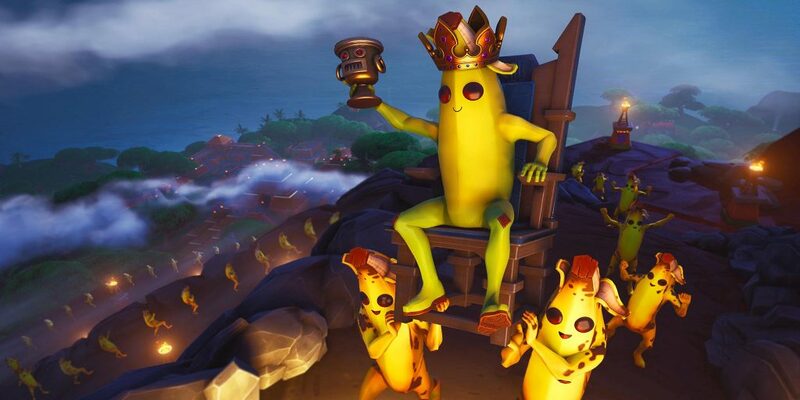 ‘Free’ challeneges can completed by all players while premium challenges are for those with the Season 8 Battle Pass. 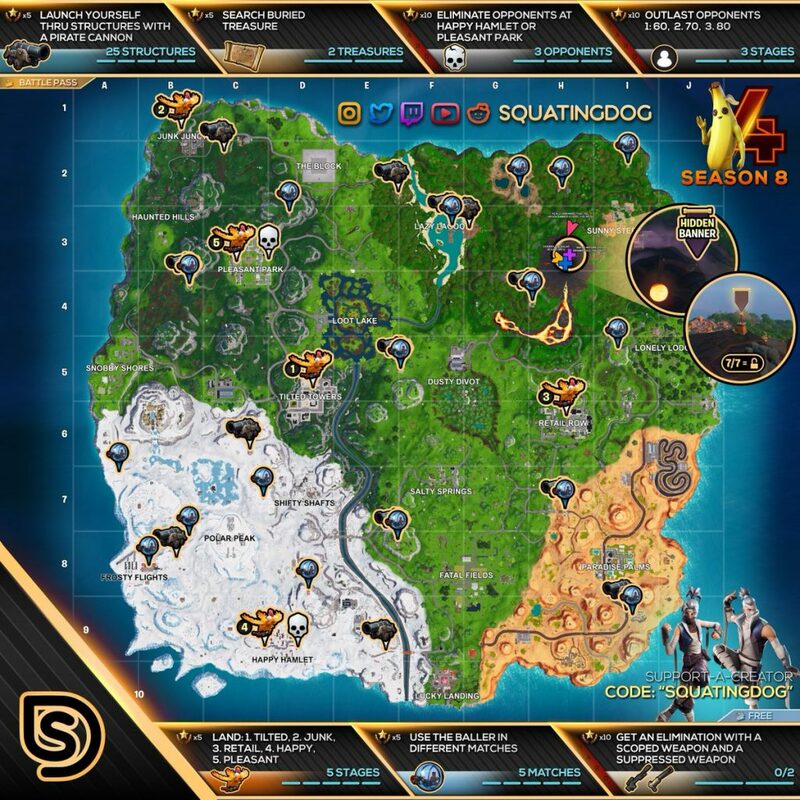 As with every other week, Fortnite content creator @squatingdog has provided us another cheat sheet from which we can find our objectives. 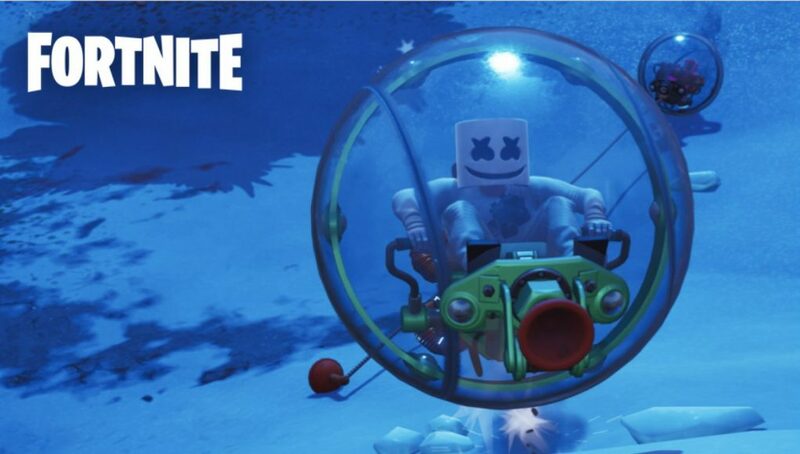 Once you’ve completed all of the Week 4 challenges, you will unlock the week’s Loading Screen. You can more Fortnite content every single day on our site and you can follow us at @FortniteINTEL to get the latest as soon as it arrives.